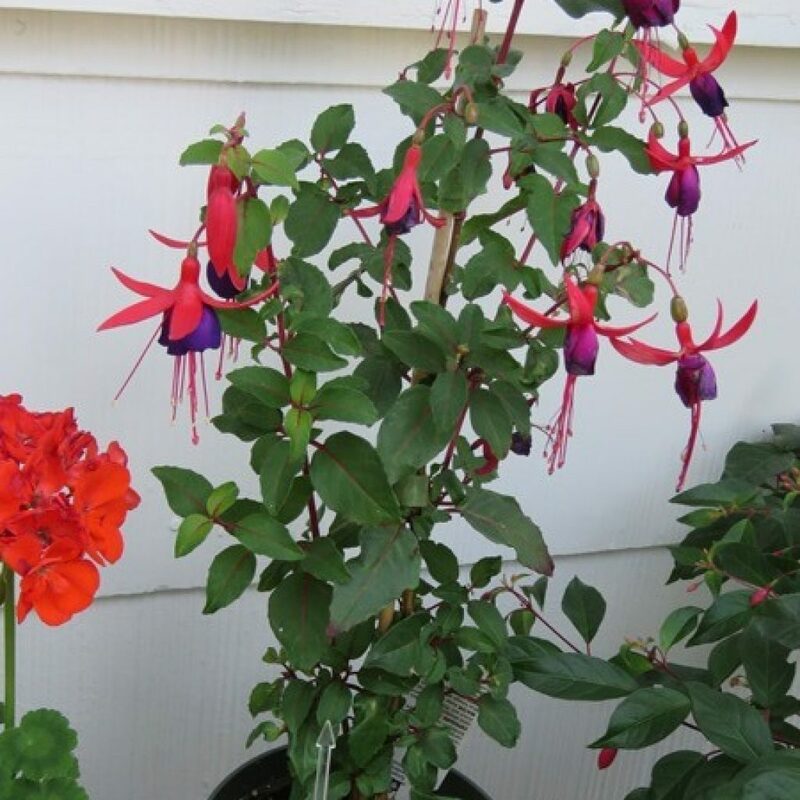 There are many different suggestions, tricks, and favourite tips for overwintering fuchsias. 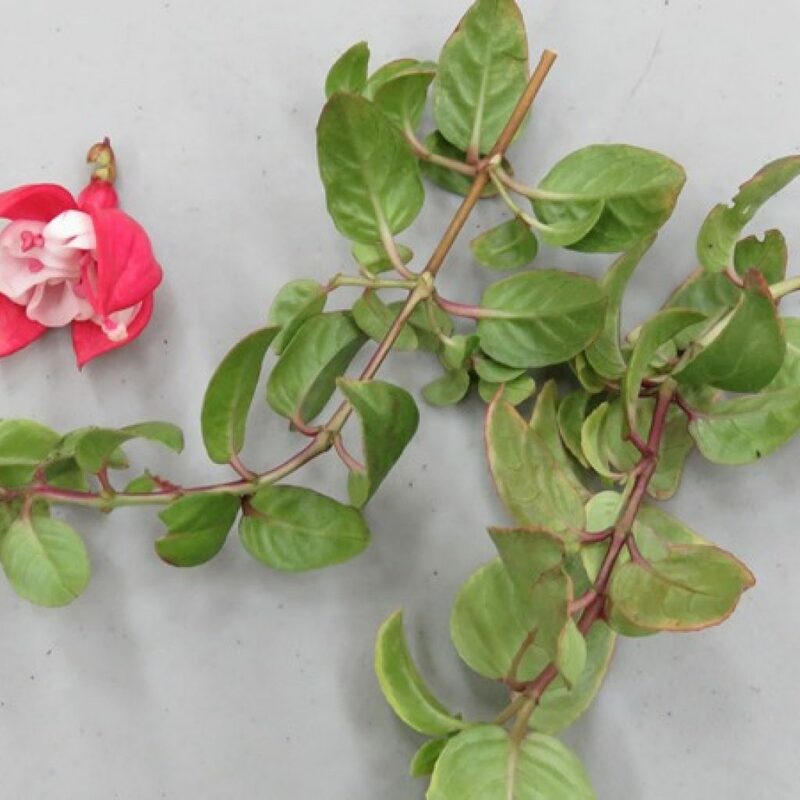 An important factor is whether the fuchsia is one of the “hardy” varieties or not. 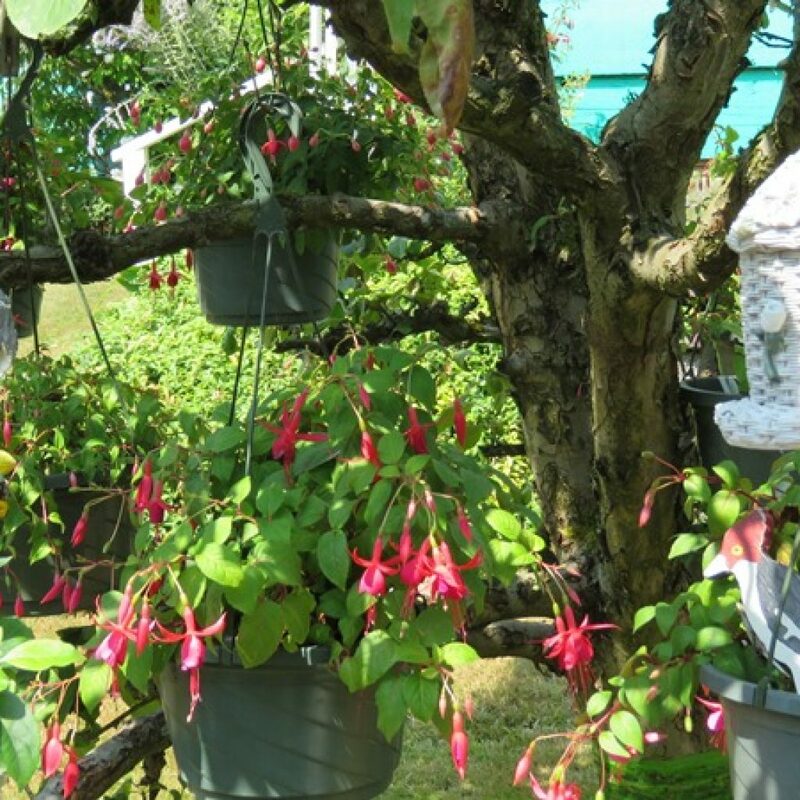 There are hundreds of fuchsia species (and thousands of cultivars!) so it is vital to collect this information for your own personal collection. A good safeguard is to grow a few plant cuttings of your favourites inside over the winter. 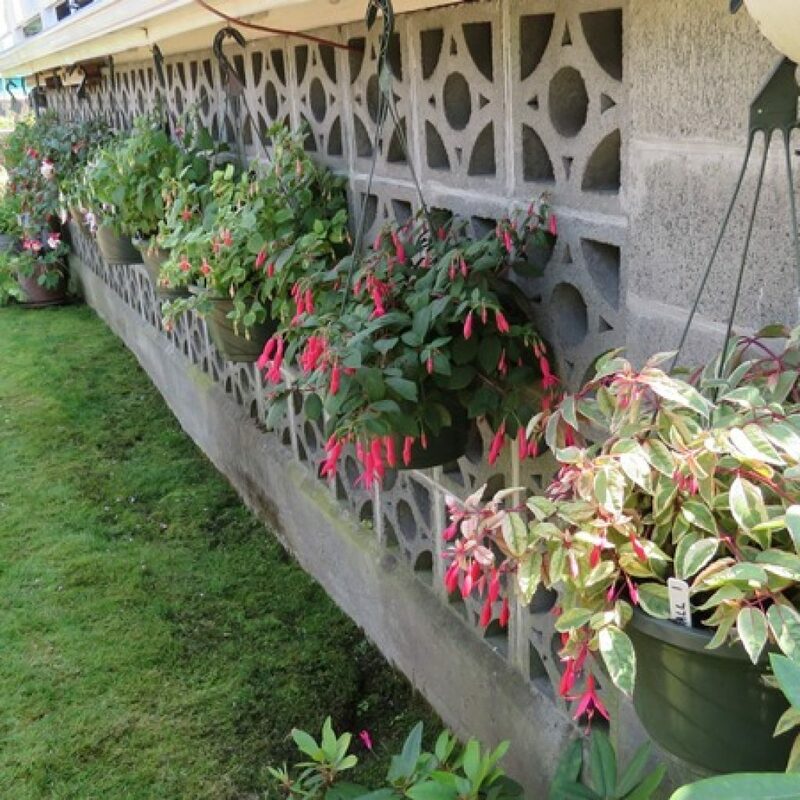 One of our member families (Elsie, Ray, and daughter Elaine) has the experience of decades of growing and overwintering a large collection of fuchsia plants, baskets, shrubs, and standard trees each fall. The next step is to make sure that every plant has a clear label with its name. With a large collection, it is also wise to make a note of the location in the garden as well. 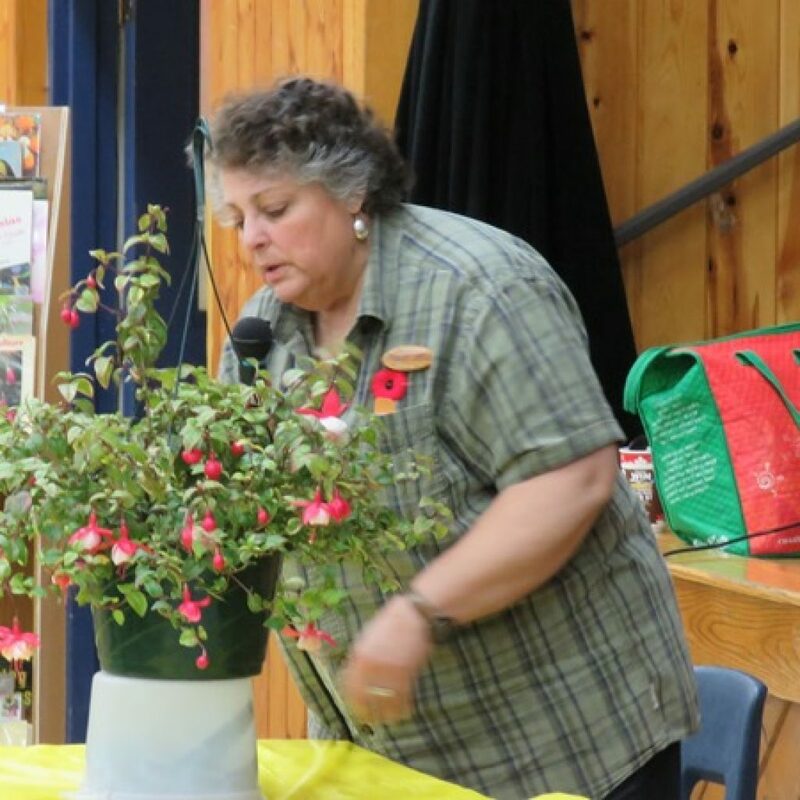 This is a big help in placing the plants in spring! 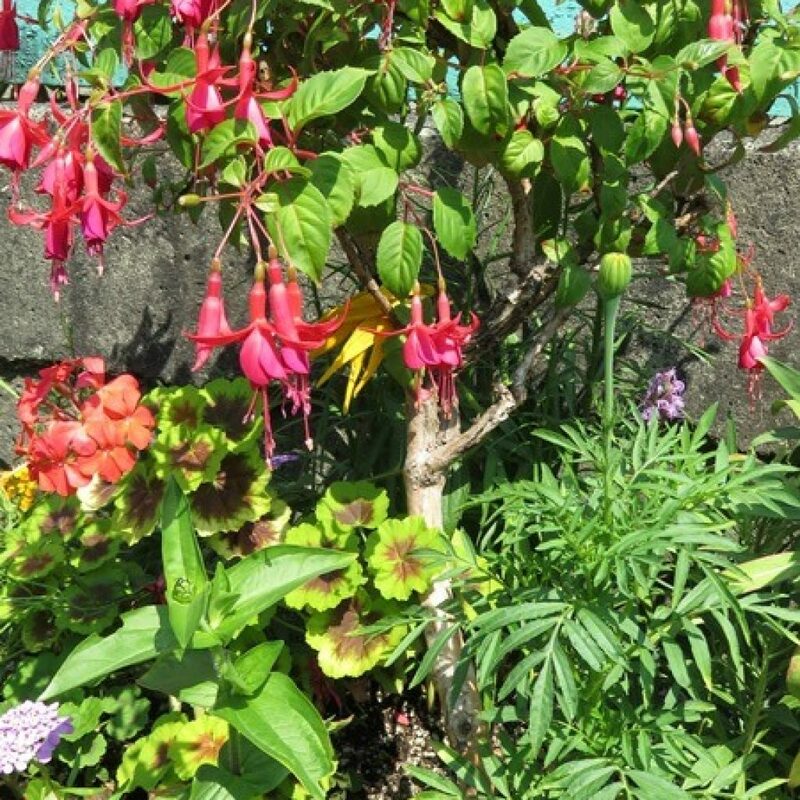 Start with the tallest Fuchsia trees. 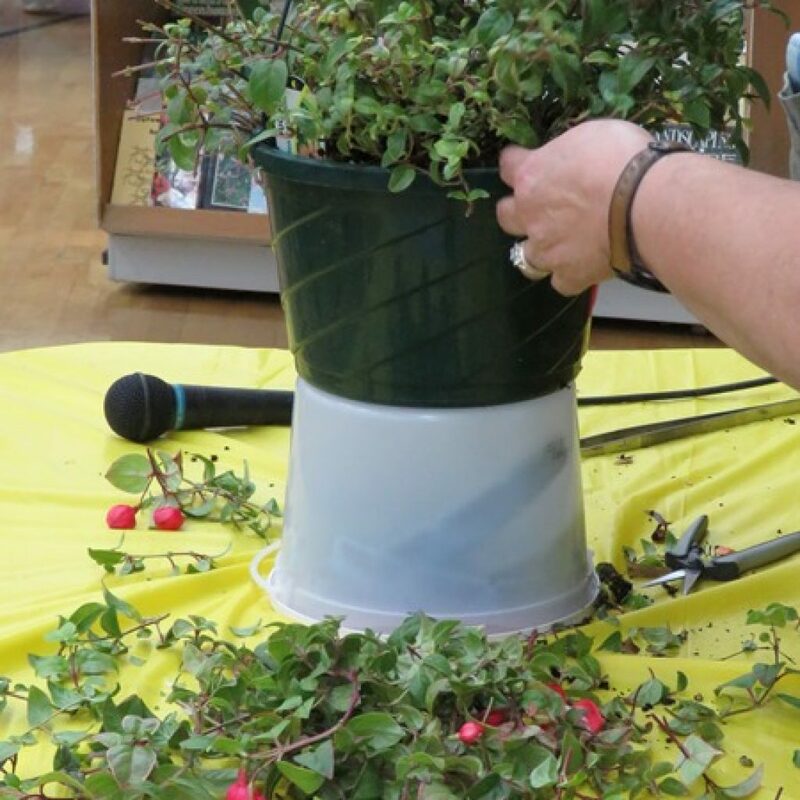 Trim the trees right down to a small round bush but don’t bother taking off the leaves. They are laid in the trench horizontally, one right on top of another. Next come the baskets. They are also cut way back and are removed from the containers. The largest baskets are put in first, right on top of the trees. Cover everything with peat moss, sprinkling it around. Add some soil and finally a tarp on top. Elaine’s family collects lots of raked leaves from all the neighbours to place on top of the tarp. They put a little plastic fence around the area so that they can pile several feet of leaves on top. Spring is the time to remove the leaves that were piled on the tarp. Early March is the best. 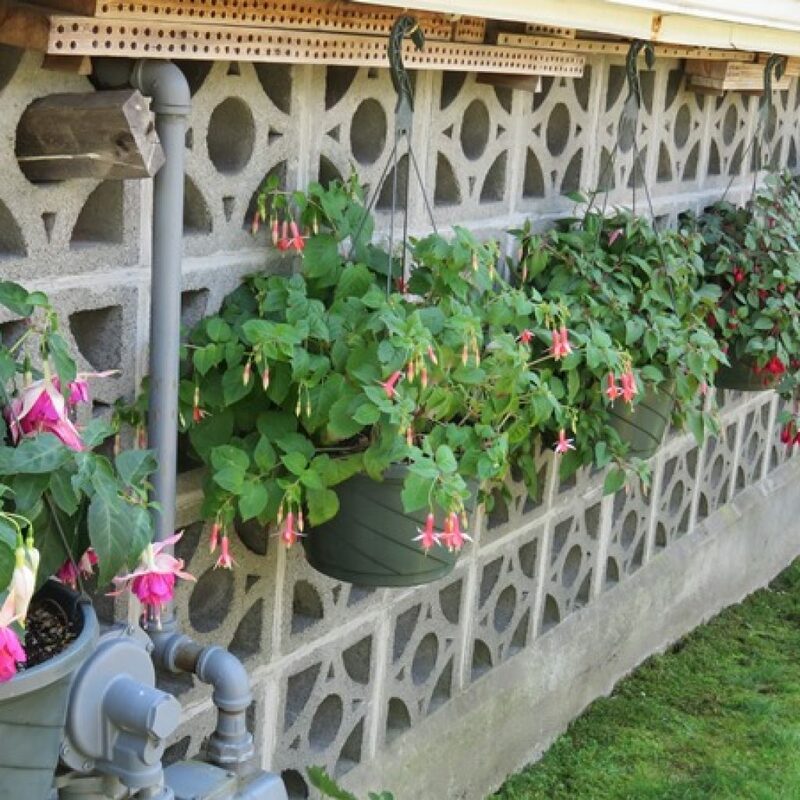 Put the plants loosely into their designated pots. Mix soil with slow release fertilizer, compost, perlite, other fertilizers, sand… whatever your “special mix” is! All the fuchsias are then taken into the garden greenhouse where they are simply stacked close together, so that they can all fit in! This placement lets them get some warmth in the day. Once the weather outside warms up, they are moved to their final destinations. They are still pretty small at this point but will grow fast. 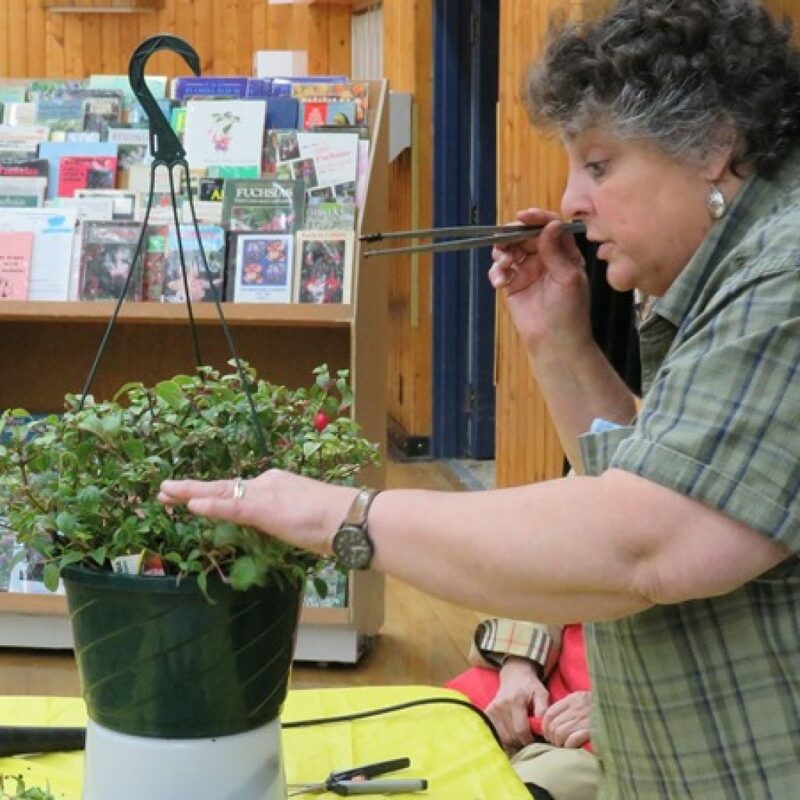 Thank you, Fran, for following up the presentation with a demonstration of pruning back a fuchsia basket in preparation for winter storage. First, go all around the plant, cutting all the long branches off. Cut just above a node. Leave a slight bit over so that if it dies back you can still cut it back a bit and save the stem. It’s always wise to save some cuttings to grow over winter. Remove everything off the soil top, like dead leaves. Fran has special little pincers so that she can reach in between the branches without damaging them. (Summit tools sells 3 in a pack!) If you see some white roots along the soil top, then add a little fresh soil as top dressing. 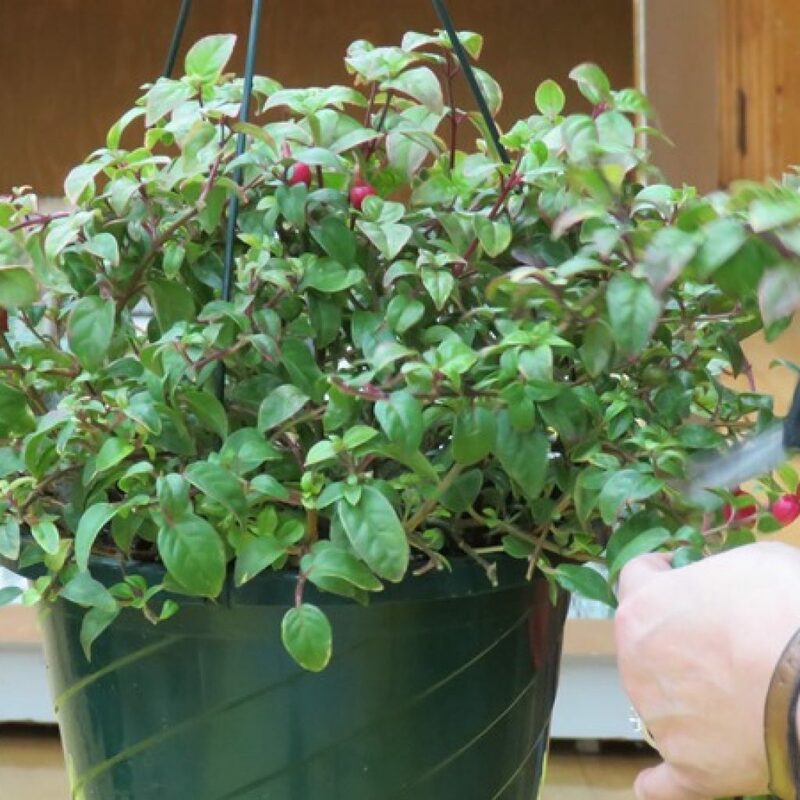 In the Springtime, clean a bit of the roots off the bottom and move the plant to a slightly larger pot. Lorna also added some extra suggestions and tips after the demonstration. Try putting a saucer underneath and water plants from the bottom. Some people use cardboard boxes with shredded paper or cover the plants with burlap. Don’t use oak leaves as a cover, because ants often live in them. Chestnut leaves are poisonous so don’t use them either! 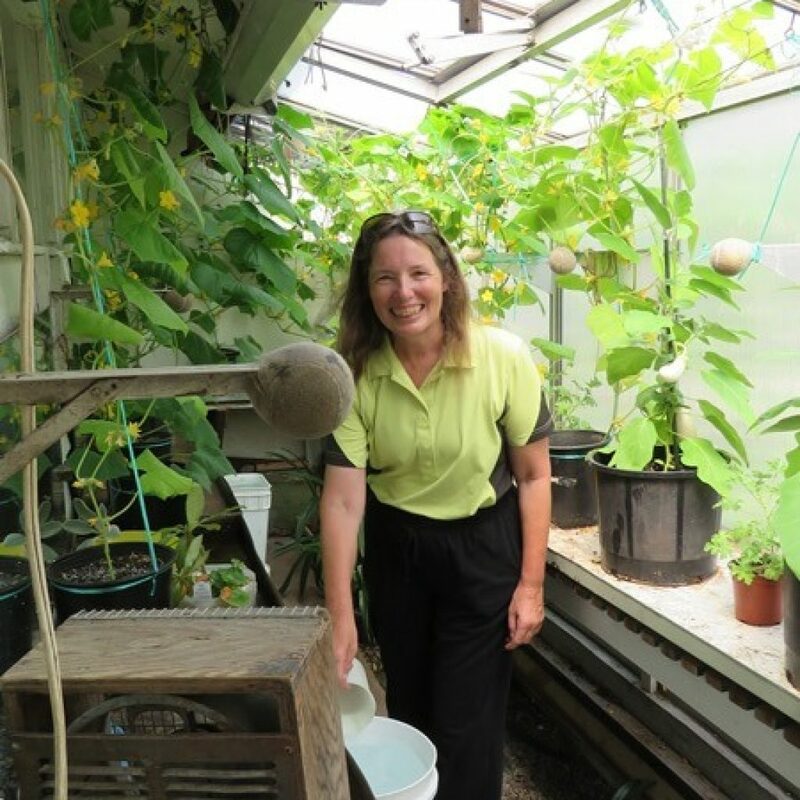 Don’t use plastic tubs as the plants need to breathe. Lorna prefers to take the leaves off right away, so they don’t make a mess! Fran prefers to wait for the leaves to dry and fall off themselves,. There are lots of different methods, depending on your situation. Don’t be afraid to experiment! Good luck, everyone!